At Chestnut Park Real Estate Ltd., Brokerage, our focus is you. At Chestnut Park Real Estate Ltd., Brokerage, we are committed to your interests and our honest communication will never lead you astray. It is important to us that you remain confident in your decision to work with Chestnut Park Real Estate Ltd., Brokerage. Welcome to Estates of Muskoka. This site is primarily for families searching for a cottage on Muskoka’s glorious Big 3. (Lakes Muskoka, Rosseau and Joseph). My name is E J Gordon, and my family has been on these lakes for more than 100 years. I’m a Broker at Chestnut Park Real Estate Limited, living in the quaint village of Port Carling. Since I’ve been involved with the Muskoka real estate industry I have been conducting market research targeted exclusively to the Big 3 lakes. It’s time now for me to share some of my insights and research for those folks looking to buy a cottage in this special part of the world. 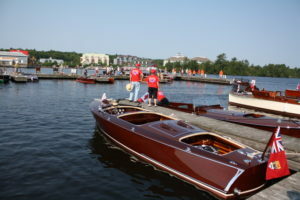 Muskoka’s Big 3 are Canada’s most sought after inland lakes, and second only to Lake Tahoe in the whole of North America –and we’re catching up to that historic leader quickly! But, not all locations on the Big 3 are created equal. Some locations have mitigating locational and/or are missing critical land attributes that prevent them from accruing in value with the average Big 3 waterfront property, over the long term. Conversely, others have the most desirable qualities and those cottage properties will accrue in value far more robustly, over the long term, than the average landfall on the Big 3. You notice I make no mention of the quality of the build-out (improvements to the land having to do with construction) when discussing accrual in value over the long term. With the important exception of grandfathered structures (a lesson for another day) the reason for that is simple –it’s called depreciation, or, in the extreme, “tear-down”obsolescence, which happens if the buildings are neglected to the point of complete disrepair. In terms of the best utility of a cottage property (which is always at the waterfront) or that iconic Muskoka “Group of Seven” look, consistently think: Land First! However, full disclosure; in this hot market I have observed innovative cottage and boathouse design, quality construction and professionally staged and furnished structures that have been adding immense value to landfalls on the Big 3. This phenomenon has been particularly true since late 2012 as a spike in “spec” building has occurred during this time, but I believe in many cases it to be short term accrual, and not sustainable. The Muskoka Big 3 real estate market has heated up year over year since 2012 and continues to do so, as of the writing of this blog. In today’s market, in the eyes of a significant number of first time buyers, a new build cottage almost supersedes even the most coveted of land attributes, which I would not have believed possible even a few short years ago. So much so, that we are witnessing quick sales at, or near, full list for cottage properties offering brand new build-outs (cottage and/or boathouse) as part of the overall package. A significant number of those quick sales are happening almost irrespective of the quality of the land. I believe that when there is a market correction, it will be these new builds on “B” type landfalls that will suffer the most in lost valuation. If you are a buyer whose searching for a cottage on the Big 3 and are primarily interested in the “bells and whistles” of a new build-out, this blog and website are not for you. But, if you’re looking to acquire a legacy property on one of the most sought after lakes in the world and something incredible to hand down to the next generation, or simply use as an excellent long term real estate investment, then you’re in the right place. Stayed tuned, because during the course of this 2017 selling season I’m going to offer you something I’ve never done before, a break-down of invaluable information on how to select an “A+” type landfall on these amazing lakes. In addition, and this is huge, I’m going to post my top 3 picks in all seven price ranges (Entry to Estate level properties) in real time. Starting May 1st this will be the place to be. Note: I will separate the upper lakes (Rosseau and Joseph) from Lake Muskoka’s top picks as there is a slight difference in the price ranges. That wil be a total of six Big 3 picks per price range, which I will update as soon as possible if a property sells, replacing the sold listings as they happen. These picks will be selected from my active personal files for Mainland “turnkey” properties, Mainland “land value”properties, and Island properties. I won’t be able to add all the details in my files, personal photographs of the listing, or my take on valuation of course -for that you’ll have to sign a buyer’s agreement 😉 …but there will be enough info for you to take action, and there’s no strings attached.